I found this book hard to listen to (and in fact, I didn't finish it), both because of the narrotor's voice (I think it is the author) and the content; basically a rant about various political issues without out offering (that I could discern) any solutions. 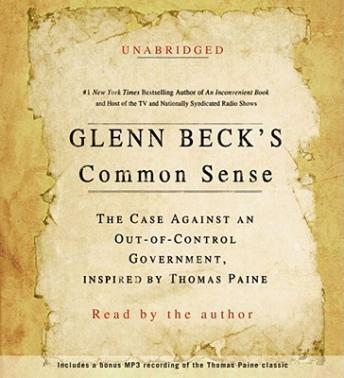 Great Book Glenn kept you wanting more with great passion in his reading.He makes you think about what you as an American voter what you should be looking for in your Government. This was only about the people not parties. It is about how we need to put parties aside and put principals and values and America, our families and kids first. This book will inform you of what the media won't. How your government, both parties solutions are even worse than the problem they have created. America needs to do it's home work and vote better.